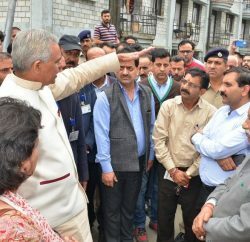 Shimla: Himachal Pradesh University Teachers’ Welfare Association (HPUTWA) has pleaded the President Pranab Mukherjee to take necessary steps in view of anti-national activities on the campus of Jawaharlal Nehru University (JNU). 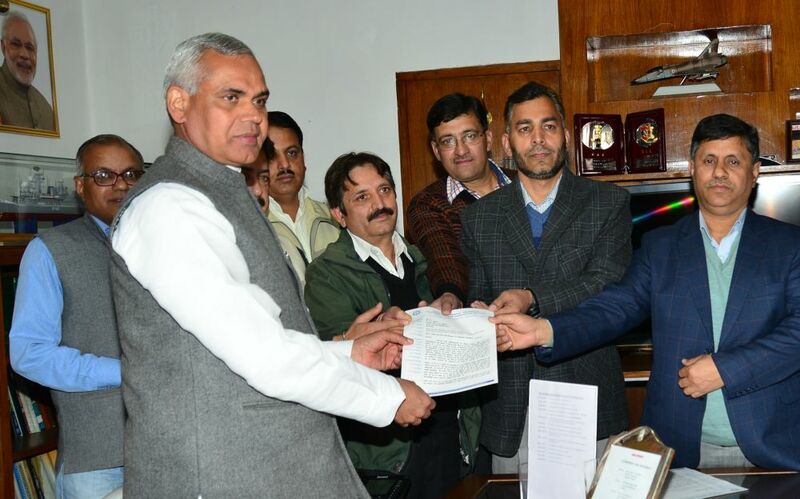 HPUTWA deputation led by its President Prof. Shashikant Lomesh and Prof. Deshraj Thakur, General Secretary, met Governor Acharya Devvrat today at Raj Bhawan and submitted a memorandum, addressed to the President. The University teachers urged the President to immediately convene a meeting of Vice-Chancellors of all central universities to discuss the issue and evolve a solution. HPUTWA emphasized the need to launch a nationwide awareness campaign to stop anti-national activities in the name of freedom of speech on the campuses and elsewhere. In the memorandum, HPUTWA said “to raise anti- India slogan to wage war against the nation and glorify Afzal Guru, a terrorist who attacked the Parliament, as martyr is highly condemnable.” It said that the agitating students and their supporter teachers termed the death sentence of Afzal Guru as “judicial killing” which amounted to be contempt of Supreme Court and lower down the prestige of the President of India who dismissed the mercy petition of the terrorist. 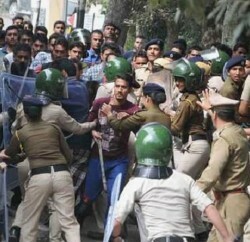 HPUTAWA termed the incident as a serious matter and an alarming bell because such anti- national students enjoyed their teachers’ open support that could be replicated in other educational institutions. They have insulted the martyrdom of our brave soldiers, and national feelings of 125 crore people of the country.